Give this one a bit of side-eye. Incumbent Republican Will Hurd is leading his Democratic challenger, Gina Ortiz Jones, in one of the country’s most competitive races in this year’s midterm elections, according to a new poll by The New York Times and Siena College. The poll, which surveyed 495 people in the district by phone this week, shows Hurd with 51 percent support compared with Ortiz Jones’ 43 percent. Seven percent of those surveyed were undecided, with a margin of error of plus or minus 5 percent. The southwest Texas district that stretches from San Antonio to El Paso, long considered a “swing district,” is a prime target for Democrats who are looking to pick up House seats this November. Hurd, a former CIA officer, narrowly beat Democratic opponents in 2014 and 2016. Ortiz Jones, a former Air Force intelligence officer, is hoping Democratic enthusiasm and opposition to President Donald Trump will propel her to victory in the district, which has garnered national attention and is on several “most competitive” lists. Hurd, who is seen as a moderate Republican, has distanced himself from Trump on major issues like immigration and has criticized the president for his dealings with Russian President Vladimir Putin. Here’s the full NYT writeup, which is worth reading. This is one of the districts The Upshot of the NYT is polling in real time, with the explanation “Our poll results are updated in real time, after every phone call. We hope to help you understand how polling works, and why it sometimes doesn’t.” Basically, when they get to 500 completed calls, they stop. That has raised some questions – which they openly acknowledge and discuss; you can follow Nate Cohn on Twitter for a lot of that – and if nothing else this is a pilot program. It’s ambitious and admirable, just (as they say with each result) not to be taken as the be-all and end-all. Even in the debacle of 2010, Quico Canseco only got 49.40% of the vote, though of course that was before this redistricting cycle. The idea that Will Hurd could get 51%, which would be a high water mark for Republicans in CD23, in a year like this seems unlikely to me. It’s very possible Hurd can win – he’s proven himself to be a strong candidate. It’s conceivable Hurd could top 50% – maybe he’s won enough people over, maybe Ortiz Jones isn’t so good on the campaign trail, who knows. I would be very, very surprised if he wins by as much as eight. We’ll see if there are any poll results out there for this district. In the meantime, The Upshot and Siena are working on CD07, while the DMN and the Times will be polling CD32, as well as statewide. Exciting times to come. One way or another, we’ll have that slot filled in time for the start of the next session. Gov. Greg Abbott has scheduled a July 31 special election to replace state Sen. Carlos Uresti, D-San Antonio. Uresti announced his resignation Monday, four months after he was found guilty of 11 felonies. The resignation is effective Thursday. The filing deadline for the special election is Monday, and early voting will start July 16, according to Abbott’s proclamation. The document also outlines Abbott’s reasoning for calling what is known as an emergency special election, noting Uresti’s District 19 has been “without effective representation” for over a year due to his legal troubles and it is important to fill the seat as soon as possible. At least two Democrats are already running to finish Uresti’s term, which ends in 2021: former U.S. Rep. Pete Gallego of Alpine and state Rep. Roland Gutierrez of San Antonio. Pete Flores, a Republican who unsuccessfully challenged Uresti in 2016, has also announced a special election run. See here for the background. Our summer of constant elections continues. Why would Abbott set the date earlier instead of having it in November? Assuming as I do that Abbott is motivated first and foremost by politics, my guess would be that a summer special election, followed most likely by a summer special election runoff, offers the better odds of electing a Republican. SD19 is a Democratic district and I’d expect it to be pretty blue in November, but it went both ways in 2014 and could certainly be competitive in a lower-turnout environment. No guarantee of that, of course, and I’d expect Democrats to be more motivated to vote even in July this year than they were four years ago. Flores lost to Uresti 55.9% to 40.4% in 2016, for what it’s worth. Be all that as it may, this is going to be quite the sprint for the campaigns. Buckle up. The news comes just over a week before the San Antonio Democrat is set to be sentenced by a federal judge in San Antonio; experts predict his penalty will be 8 to 12 years of prison time. He’s also scheduled for a trial in October on separate fraud and bribery charges. In his announcement Monday, Uresti asked Gov. Greg Abbott to call a special election for the seat on the next uniform election date, which is the general election date in November. 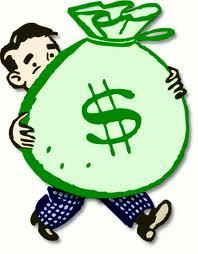 Doing so, he said, would save the district’s 17 counties thousands of dollars. The governor’s office did not immediately return a request for comment on timing for the election. See here and here for the background. Assuming we do get a November special election, which would join the other November special election(s) that we should get, we can have a replacement for Uresti sworn in and ready to go no worse than January, which is so much better than waiting till after November for a special election to be set. I’m sure there will be others besides Gutierrez and Gallego in the race, and as before I don’t have a preference at this time. Uresti set a low bar to clear, so an upgrade is likely. I for one am very ready for that. We now have two intended candidates for what we hope will be a special election. Former U.S. Rep. Pete Gallego, a Democrat, has filed paperwork to declare a treasurer in a campaign for the position. He’ll make a formal announcement to run in the coming weeks, he confirmed Wednesday morning. Like Rep. Gutierrez, Gallego is “in” in the sense that he intends to run when the disgraced Sen. Carlos Uresti finally resigns. Which, again and to be clear, should have already happened by now and cannot happen soon enough. If Uresti has any decency at all, he will recognize the need to have someone serving the people of SD19 when the gavel bangs in January. That means a special election no later than this November. I don’t know what we can do to make him realize that, but I sure hope we figure it out. We may want him to, but Rep. Joaquin Castro probably isn’t running for Governor. 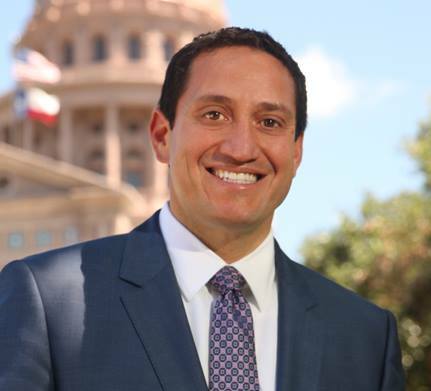 Exiting a summit on citizen diplomacy Tuesday at the Texas Capitol, U.S. Rep. Joaquín Castro, D-San Antonio, was trailed by a handful of reporters. “Something tells me you didn’t come to hear a speech about international affairs,” Castro said. The reporters were there to once again ask whether he would consider running for governor in 2018. It has become a somewhat tired ritual. But with no hint of any formidable Democratic candidate ready to challenge Gov. Greg Abbott, reporters have little else to work with, and for Castro, as for his twin brother, Julián, the only day more nettlesome than the ones on which they are asked about their future political ambitions, will be the day when reporters stop asking about those ambitions. See here for the background. One can twist oneself into knots parsing each word and coming up with Reasons why this isn’t a flat denial, but one would be deluding oneself. He’s not running for Governor, for all the reasons why he didn’t run for Senate and more. Maybe there is someone out there with a decent profile who will (*cough* *cough* Pete Gallego *cough* *cough*), but barring anything unforeseen, I’ll take the chance of looking foolish and saying there’s no there there. He’s running for re-election, and that’s that. Sorry, y’all. The headline to this story says that Rep. Castro “is considering” a run for Governor, but if you read the story you’ll see that my characterization is the more accurate. In need of someone to lead the top of the 2018 ticket, Democrats are trying to persuade U.S. Rep. Joaquín Castro to run for Texas governor. Castro, who will turn 43 on Saturday, has represented the 20th Congressional District since 2013. He served 10 years in the Texas House. He had not responded to requests for comment as of Thursday afternoon. Texas Democrats have been in search of a 2018 candidate for governor in hopes of beating incumbent Republican Greg Abbott and boosting down-ballot candidates in the Texas Senate and House. Hinojosa said Democrats hope to compete in 15 to 20 Texas House contests, as well as three congressional seats with Republican incumbents. “All these races would be helped by a strong candidate at the top of the ticket,” Hinojosa said. But analysts say Castro is unlikely to run for governor because there’s not a clear path to victory for Democrats, who have not won a statewide race in Texas since 1994. Castro appeared destined to run for re-election to the House, but Texas Democrats approached him late this summer and asked him to be the party’s standard-bearer against Abbott. Several Democrats have passed on running for governor, including Rep. Rafael Anchia of Dallas. Hinojosa said he doesn’t know which way Castro was leaning. “I won’t comment on conversations I’ve had with potential candidates,” he said. I’d love to know who those “others” are that are also considering it. (I’ll put in a plug again for Pete Gallego.) Chairman Hinojosa seems to have a good grasp of the reasons why Rep. Castro may demur – they’re basically the same as the reasons why he’d demur on a run against Ted Cruz, with the added incentive of Abbott having a bajillion dollars to his name and not being the most despised politician not named Trump in the state. Against that, one could argue that the political climate is growing more favorable to the Dems as Trump keeps flailing about and selling out his base, and if Castro had any plans to run for Senate against John Cornyn in 2020, a noble but non-crushing loss to Abbott would be a decent dry run for it. On top of all this are the apparent calculations about Julian Castro’s future, and whether a Joaquin candidacy for Governor and the accompanying non-trivial risk of crashing and burning would hinder Julian’s chances of running against Trump in 2020. As they say, it’s complicated. My guess is that Castro sits it out and we get to see who’s next on the wish list. I imagine we’ll have a clear indicator soon. UPDATE: In the Statesman, Hinojosa says that Castro “never ruled out” running for Governor. To be fair, neither have I. The third time is not a charm, mostly because there won’t be a third time. Former U.S. Rep. Pete Gallego, D-Alpine, has decided not to try again to reclaim his old seat in Congress. Gallego had set up an exploratory committee for the seat in July. At the time, he said he was “energized about 2018,” citing a new level of Democratic enthusiasm in the district following the election of President Donald Trump. In recent weeks, Gallego tried to raise money for his would-be congressional campaign, according to those plugged in with the Democratic establishment donor community — but found resistance after losing twice. See here for the previous update. On the one hand, Gallego won in 2012 against an incumbent Republican in a district carried by Mitt Romney and every statewide Republican. He led the ticket in a tough loss in 2014, but then failed to win the seat back in a year where Hillary Clinton won the district. He was a fine legislator and he’s a good person, but with the emergence of some other interesting candidates, I can see why the donor community might have wanted to go another direction. Gallego is young enough to run again for something if he wants to – hell, he’d make a pretty good candidate for Governor if he wanted to give that a try and if the Castros figure out what they’re doing. Seriously, someone ought to talk to him about that. Anyway, this probably means the field in CD23 is set, but someone could still jump in. Jay Hulings, a federal prosecutor from San Antonio, said Sunday he could no wait no longer to launch a challenge to U.S. Rep. Will Hurd, R-Helotes. Hulings is an ally of the Castro brothers — U.S. Rep. Joaquin Castro, D-San Antonio, and former U.S. Housing Secretary Julián Castro. Hulings is moving quickly to establish himself as a top-tier candidate in what’s expected to be a crowded primary field. His last day at the U.S. Attorney’s Office for the Western District of Texas was this last week. He’s working with the Castros’ political team, and he is expected to soon begin rolling out endorsement from prominent Democratic officials. Hulings’ entrance into the race was first reported by the San Antonio Express-News. On Friday, Hurd got another Democratic challenger: Rick Treviño, a teacher from San Antonio who ran for its City Council earlier this year and narrowly missed a runoff. He had the backing of Our Revolution, the group aligned with former Democratic presidential candidate Bernie Sanders. Hulings and Treviño join Gina Ortiz Jones, a former Air Force intelligence officer, in vying for a shot at Hurd in 2018. A number of other Democrats are still looking at the race, including former U.S. Rep. Pete Gallego, the Alpine Democrat who represented the district from 2013-2015. See here for more on Gina Ortiz Jones, and here for more on Pete Gallego, who is very busy sending campaign emails for someone who has not officially entered the race. Hulings has been mentioned in every “who might run in CD23” story I’ve seen, but this is the first mention of Treviño I’ve encountered. Of course, Jones wasn’t in those stories either, so make of that what you will. Hulings was one of the US Attorneys in the Crystal City corruption case; I can’t find any web or social media presence for him. Treviño is a bit of a challenge to Google because there’s a Grammy-winning country musician of the same name, but if you search for “rick trevino bernie sanders” you can find this bio of him. Even without a boost from the court, this is a very winnable race, and there will be national help for it. May the best candidate win. 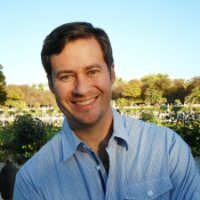 We have our first declared challenger in CD23. Jones said she was inspired to come home to San Antonio and run for Congress after witnessing up close the opening months of Donald Trump’s presidency as a staffer in the Office of the U.S. Trade Representative, which operates from within the Executive Office of the President. 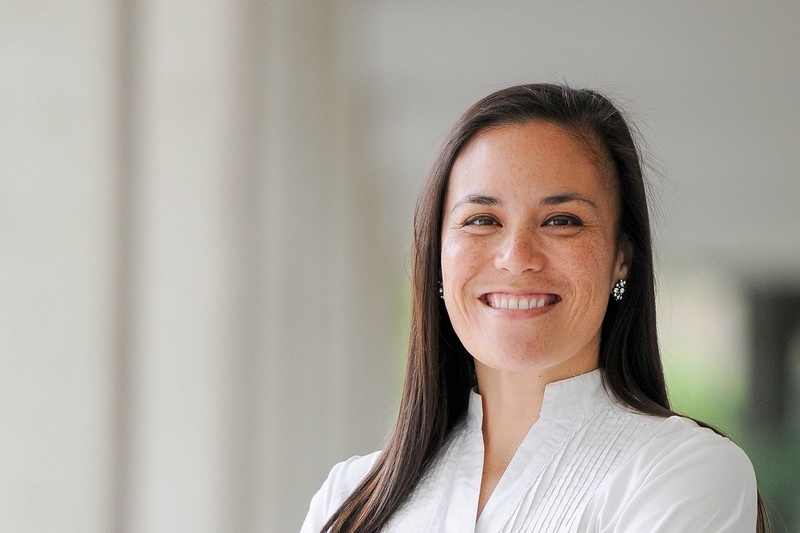 You can find a brief bio of Gina Ortiz Jones here; scroll down a bit. I received a press release with a much longer bio after I did my initial draft of this post, so it’s beneath the fold. Her campaign website is here and her campaign Facebook page is here; both are still bare bones, but one presumes that will change shortly. As for other candidates, Pete Gallego has said he is seriously considering running again, but has yet to take the plunge. Canales and Hulings, I have heard nothing about, and no one has done any fundraising yet. Which is not that big a deal, as there will be plenty of national support for this race, but sooner is always better than later. Like many other Democrats jumping into these races, Jones looks impressive, and is also younger than I am, which Lord knows we could use more of. She joins MJ Hegar as a veteran who is now a candidate. This could be a very interesting primary, as Gallego (of whom I am very fond) tends to lean towards the centrist side of things. Regardless, I don’t know how you can look at the large and growing crop of solid candidates we have running and not get excited by them. Will we have enough candidates for the opportunities? With the Texas case moving forward, the boundaries of the congressional districts remain in question with the 2018 elections less than 18 months away. 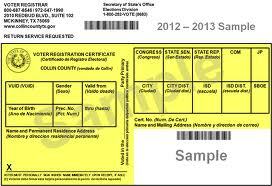 The Lone Star State’s primary filing deadline is in six months. So, incumbent lawmakers and potential challengers are watching to see where the districts’ boundaries will fall, and weighing how that could affect the outcomes in next year’s midterms. National Democrats have heard from candidates interested in [CD23]. And while they expect strong challengers to emerge, none have so far. “Everyone’s kind of keeping their powder dry until it makes a little more sense to announce,” said [Colin] Strother, the Democratic consultant. The court also ruled two other districts were unlawful: the 35th District, which stretches from San Antonio to Austin, and is represented by Democrat Lloyd Doggett; and the 27th District along Texas’ central Gulf Coast, represented by Republican Blake Farenthold. [Michael Li, senior counsel at the Brennan Center for Justice] speculated that, if the court rules the current map is also invalid, a new congressional map could lead to two or three more Democratic seats. Republicans currently outnumber Democrats, 25 to 11, in the Texas delegation. But one GOP consultant focused on Texas did not believe a new map would result in a significant shift against the Republicans. The consultant also said the uncertainty would not have an effect on congressional campaigns for incumbents, since they are accustomed to the constant legal battles over the congressional lines. But Strother said Democrats had to be prepared just in case. “The nightmare scenario for Democrats is we don’t have people preparing for the emergency that this district or that district suddenly gets great for Democrats … and it’s too late,” he said. Strother said he didn’t see many Democrats preparing for races just yet, but pointed to Joe Kopser in the 21st District as someone jumping in early in a race rated Solid Republican by Inside Elections. Kopser, an Army veteran and technology businessman, recently announced that he would challenge GOP Rep. Lamar Smith in the central Texas district. It is possible a new congressional map could have a ripple effect and alter the lines of Smith’s district. While the district is not on the Democratic Congressional Campaign Committee’s list of 2018 targets, the committee is waiting to see how the redistricting case pans out. I’m not worried about this. Districts that aren’t likely to change or which won’t change that much ether already have candidates or candidates in waiting – Pete Gallego is circling around CD23, for one, and there are other candidates looking at it as well – and in the districts that may change a lot, like CD27, there’s really no choice but to wait and see what they actually look like. Sure, Republican incumbents who are already sitting on a decent pile of campaign cash will have an advantage, but that was always the case, and it may not matter that much in any event, depending on how the districts get drawn. As far as CD21 goes, a look at the FEC reports shows that there are at least three other candidates running against Lamar Smith, one of whom has been out there for a couple of months. We’re going to have plenty of candidates, and some of them will have a decent chance of winning. It’s all good. Less than a year after he lost his bid to reclaim his U.S. House seat, former U.S. Rep. Pete Gallego, D-Alpine, is seriously considering another run for Congress, citing shifting political winds in Texas’ 23rd congressional district following the election of President Donald Trump. A 2018 campaign would be Gallego’s third against U.S. Rep. Will Hurd, R-Helotes, who unseated the one-term Gallego in 2014. Gallego then unsuccessfully challenged Hurd two years later, losing by 3,051 votes — an outcome Gallego believes would be much different if the election were held today. “Frankly I’m energized about 2018,” Gallego added. Gallego could have company in the Democratic primary, where Jay Hulings, an assistant U.S. attorney from San Antonio, and Judy Canales, a former Obama and Clinton appointee from Eagle Pass, are also weighing campaigns. State Rep. Cesar Blanco, D-El Paso, was seen as a possible candidate for the seat but announced last month he will seek re-election to the Texas House. 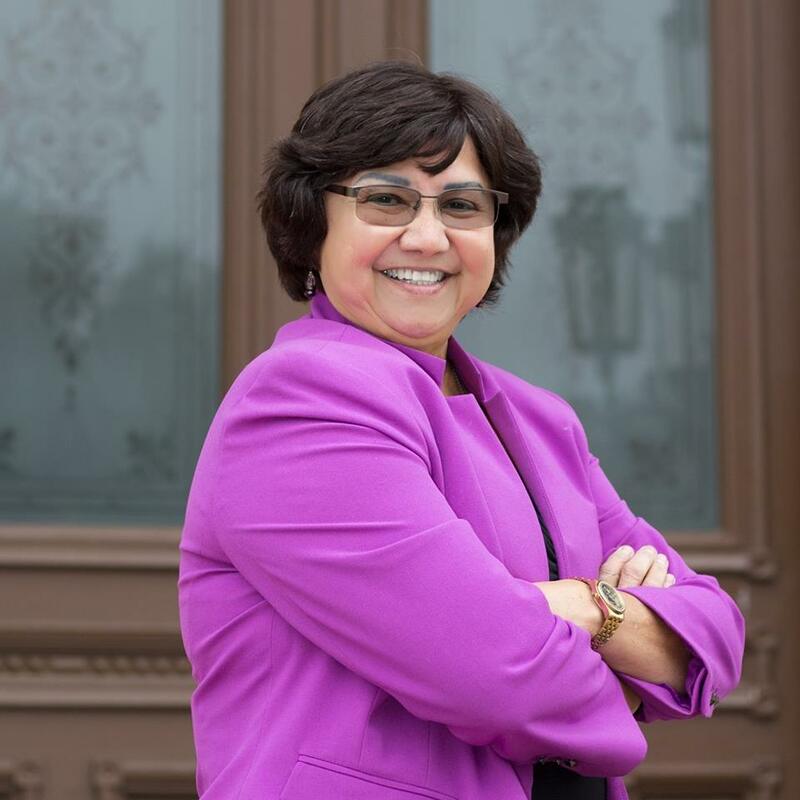 Hulings’ name came up in some very early speculation about who might run for what next year; this is the first time I’ve heard Judy Canales’ name. I can tell you that as yet no one has filed an FEC finance report, so as of today there are no actual candidates, just theoretical ones. The story suggests, and I have no doubt, that people are waiting to see what the court will do in the redistricting case, given that CD23 is one of the districts at issue. Time is less of a factor here in that as soon as there are any candidates for CD23 they should have no trouble garnering contributions. The amount of money already coming in to candidates in districts far tougher than CD23 is staggering – the contenders in CD07 combined to raise in excess of $1.2 million, for example. Whoever runs in CD23 will have the resources to run a competitive race. It’s a matter of who that will be and what the district will look like. The Trib rounded up all the scuttlebutt about who may be running for various Congressional districts next year. I’ve picked out a few to comment on. There are four other candidates orbiting around CD07 that I know of; this is the first I’ve heard these two names. I’ve met Cox, who I know has been a contributor in numerous city races. I’ve not met Alex Triantaphyllis, but I assume he is related to Tasso Triantaphyllis, who was a Democratic candidate for district court judge in 2002. I don’t think there’s enough room in a Democratic primary for a traditionally Republican Congressional seat for six candidates, but who knows? And while Cox and Triantaphyllis may have caught the eye of the DCCC, this is one of those times where that probably doesn’t matter much, at least not for March. People are paying attention to this race now – there’s already a candidate forum for May 9 – and I daresay anyone who wants to make it to a runoff next year needs to be out there attending meetings and rallies and talking to people. Don’t sleep on this. This is the seat that Beto O’Rourke will be vacating. It makes sense for this Democratic seat to have a crowded primary, so assume there are plenty of other hopefuls looking at it. I’ve been impressed by Rep. Blanco, but it’s way early to speculate. The key here, in the Democratic worldview, is whether the 23rd District’s lines are redrawn amid ongoing redistricting litigation. Should new lines make this district easier for Democrats, look for a competitive primary. Hurd’s rival from the past two cycles, Democratic former U.S. Rep. Pete Gallego, told the Tribune he would consider running for the seat again under new lines. “If there’s a new map, then there’s a new race,” Gallego said. Other Democrats are likely to give the seat a serious look, including Blanco, the El Paso-based state representative. But national Democrats are also looking into an up-and-comer in San Antonio: Assistant U.S. Attorney Jay Hulings. A former Capitol Hill staffer on the House Permanent Select Committee on Intelligence, Hulings is a member of the Castro twins’ Harvard Law School class. Whether there are changes to this district or not, Rep. Hurd will be a tough opponent. He may get swamped by national conditions, but it will take some work to tie him to Trump. I’ve always liked Pete Gallego but after two straight losses it might be time for a different candidate. Former state Rep. Solomon Ortiz Jr. told the Tribune he is considering a Democratic run for this Corpus Christi-based seat — but on the condition that the district’s lines change amid ongoing redistricting litigation. This one is only interesting if the state’s attempts to delay or deny a new map are successful. I wish it were different, but CD27 was slightly redder in 2016 than it was in 2012, so new lines are the only real hope. There is no shortage of Democrats considering a challenge to Sessions. Dallas school board member Miguel Solis, Children’s Medical Center senior vice president Regina Montoya, former NFL player Colin Allred and former Hillary Clinton staffer Ed Meier are frequently named as possible recruits. Civil rights attorney Colin Allred has launched a campaign to unseat Rep. Pete Sessions of Dallas. But first the former NFL player will have to run in a potentially crowded Democratic primary for the 32nd Congressional District. A former Hillcrest High School standout, he hopes his connection to the North Dallas district attracts him to voters. Allred, 34, told The Dallas Morning News that he was inspired to challenge Sessions by the “grassroots energy” displayed after the 2016 election of President Donald Trump. Sounds pretty good to me, but as noted he will not have a clear field. One primary opponent he won’t have is Miguel Solis, who says in the story that he will not be a candidate. We’ll see who else gets in, but I am looking forward to hearing more from Colin Allred. UPDATE: I am informed that Regina Montoya is not at Children’s Medical Center any more. That bit of information came from the Texas Tribune story that I was quoting from, so I am noting it here as well. Texas’s GOP-drawn congressional map was designed to create 24 safely red seats and 11 safely Democratic districts, with only the 23rd District in the western part of the state being truly competitive. In 2012, Mitt Romney carried the state 57-41 and won those 24 red seats by double digits, while Barack Obama easily carried the 11 Democratic districts; the 23rd backed Romney 51-48. Things were a lot more interesting in 2016, with Donald Trump defeating Hillary Clinton by a smaller 52.5-43.5 margin, the closest presidential election in Texas in decades. Clinton won all the Obama districts, as well as the 23rd and two solidly Romney seats, the 7th and 32nd. However, the GOP still holds all the districts that Romney won in 2012, while Democrats have all the Obama/Clinton districts. The map at the top of this post, which shows each district as equally sized, illustrates all this, with the three Romney/Clinton districts standing out in pink. We’ll start with a look at Texas’s 23rd District, which stretches from El Paso to San Antonio and went from 51-48 Romney to 50-46 Clinton. However, the swing wasn’t quite enough for Democrats downballot. Republican Will Hurd narrowly unseated Democrat Pete Gallego in the 2014 GOP wave, and he won their expensive rematch by a similarly tight 48-47 margin. Surprisingly, two other Texas Republicans have now found themselves sitting in seats Clinton won. Romney easily carried the 7th, located in the Houston area, by a wide 60-39 spread, but the well-educated seat backed Clinton by a narrow 48.5-47.1. Republican Rep. John Culberson still decisively turned back a challenge from a perennial candidate 56-44, and it remains to be seen if Democrats will be able to field a stronger contender next time—or whether the GOP’s weakness at the top of the ticket was a one-time phenomenon due solely to Trump. The 32nd in the Dallas area also swung wildly from 57-41 Romney to 49-47 Clinton. However, Democrats didn’t even field an opponent against longtime GOP Rep. Pete Sessions, a former head of the NRCC who’s capable of raising as much money as he needs to in order to win. This is another well-educated seat where we’ll need to see if Democrats will be able to take advantage of Trump’s weaknesses, or if The Donald’s 2016 problems don’t hurt the GOP much downballot in future years. Seven other Republican-held seats also moved to the left by double digits. The closest result came in Rep. Kenny Marchant’s 24th District in the Dallas-Forth Worth suburbs, which Trump won just 51-45 after Romney cruised to a 60-38 win four years earlier. Marchant beat a penniless opponent 56-39, so this district could also wind up on Democratic watch lists. They mention a few other districts in which Clinton exceeded Obama’s numbers by a significant amount; I’ll get to that in a minute. I’ve discussed CD07 and CD32 before. We know that while Clinton carried CD07, it was largely due to Republican crossovers, as the average judicial race clocked in at a 56.5% to 43.5%b advantage for Trump. I can now make a similar statement about CD32, as I have been working my way through the canvass data in Dallas County. (CD32 reaches into Collin County as well, but I don’t have canvass data for it. The large majority of the district is in Dallas County, however.) Hillary Clinton won the Dallas County portion of CD32 by ten thousand votes, basically 127K to 117K. No other Democrat in Dallas County carried CD32, however. Looking at the judicial races there, Trump generally led by 20K to 25K votes, so the crossover effect was significant. The closest any Dem came to matching Clinton in CD32 was two-term Sheriff Lupe Valdez, who trailed in the Dallas portion of CD32 by a 125K to 116K margin. I may go back later and look at CD24, about forty percent of which is in Dallas County, and I will definitely look at CD23 when we have full statewide numbers. If you had told me that Clinton would carry CD23, I’d have been sure that Pete Gallego would reclaim the seat, but that didn’t happen. I’ve got to give credit to Rep. Will Hurd for that, though I doubt he will ever have an easy time of it going forward. As for the other districts, I’ll just say this: Back when we were all getting intoxicated by the alluringly tight poll numbers in Texas, I ran the numbers in every district to see what might happen if you adjusted the 2012 returns to reflect a 50-50 Presidential race. The short answer is that while several Congressional districts become a lot more competitive, none of them swing to majority Dem, even under those much more favorable circumstances. This is a testament to how effective that Republican gerrymander is, and a sobering reminder of how much ground there is to recover before we can make any gains. The 2016 Presidential numbers may tantalize, but they are illusory. You want to know why we’ll never get rid of Louie Gohmert? He represents CD01, one of two districts where Trump improved on Mitt Romney’s numbers. That’s why we’ll never get rid of Louie Gohmert. In the other districts, the main difference between 2016 and 2012 is the performance of third party candidates, especially Libertarian Gary Johnson. I don’t have vote totals, and the dKos spreadsheet doesn’t include the other candidates, so it’s hard to say exactly what happened at this time. For sure, in some of these districts, there was a shift towards the Democrats. I’ve noted before that the “true” level of Democratic support in CD07 was about 43.5%, but that’s still four or five points better than it was in 2012. When the full statewide numbers come out, probably next month, I’ll be able to do more detailed comparisons. For now, this is what we have. Look over the dKos data and see what you think. Why such a mushy article about the state of early voting so far? Because Texas voters can use a single click to back an entire slate, the down-ballot candidates running countywide have ever-slimming chances of influencing their destinies. As polarization and straight-ticket voting grow, the outlook is even more challenging for judicial candidates, who do not like touting their candidacies in a partisan way in the first place. The 2016 presidential battle, which may go down as the ugliest and most unusual of modern times, could have a profound local impact. Both candidates provoke high negative opinions, which could depress voter turnout or inspire it. Early vote totals suggest the latter. More than 566,000 ballots were cast in the first week, a record. Lane Lewis, the Democratic Party chairman for Harris County, said the early turnout bolsters his hope for another “wave” election. Donald Trump’s faithful seem likely to show up en masse, but U.S. Sen. Ted Cruz was the big winner in the spring primary, taking 45 percent of the Harris County vote. What will the Cruz supporters do? There is a reasonable possibility that suburban Republican women will cross the party divide and give Hillary Clinton a local win to match what opinion polls are showing in many states. The question is, will they step back to help the down-ticket Republicans? The countywide down-ballot races include sheriff, district attorney, county judge, education board, constables and scores of judicial seats. The people seeking them this time cannot decide whether to be confident or scared, Emmett said. Political consultant Keir Murray, who works with Democratic candidates, said he is optimistic about the party’s future, though like everyone else he is not so sure about this year. All due respect, but we do know who is voting, because the County Clerk puts out a roster of everyone who has voted after each day, and we have a pretty good idea of how they are voting. In fact, the Chron wrote about this on Friday, so I have no idea why they switched into this nobody-knows-anything mode. It’s true that the question of who among those that have not yet voted will turn out remains murkier, but the evidence we have so far is that there are still a lot more high-propensity Democrats left to vote, more than the number of high-propensity Republicans. I understand having a story that talks to the people who are on the ballot and who are being affected by what is going on now, but if you’re going to talk about what is happening, the consultant types are in a much better position to give you real information. Anyway. The Trib has a nice tracker of the changes in early voting turnout for the biggest counties over the past three Presidential races. It’s up everywhere, but the uptick in Travis County in particular is amazing. El Paso is also doing very well, and so far the conventional wisdom is that this is good for Pete Gallego in our one swing Congressional district, CD23. That would have been at least a competitive race without the Trump factor, but maybe this time it will be blue all the way down, and not just in the Congressional race. I went to bed before the Monday EV report came out, though I saw on Facebook that the number of voters was in the 73,000 range. That’s in line with the daily output from last week, though down a bit from the end of the week. We’ll see if things will slow down or level off, or if the usual pattern will hold and the last two days this week will be heavier. Here’s the Day 7 EV report, which brings you up to date through Sunday. The weekend was even better for Dems than the first five days were, so it’s all about what happens this week. The tracker spreadsheet is here, and I’ll update that when I get the Monday report. UPDATE: And here are the Day 8 EV totals. It’s down a bit, but still higher than Day One was. The spreadsheet has been updated. What next for Julian Castro? I can think of something for him to do. Housing Secretary Julián Castro was long touted as a possible running mate for Hillary Clinton, but when the call came Friday informing him that the presumptive Democratic nominee had picked someone else, he wasn’t entirely surprised. In his Saturday telephone interview with The Washington Post, Castro said he had no doubt that Clinton will receive the overwhelming share of the Hispanic vote, even without a Latino on the ticket. It’s not crazy to suggest that person could possibly be Julian Castro. A direct step Castro could take to increase the probability of that outcome would be to run for Texas Governor in 2018. A win would of course be a huge advancement, but even a creditable loss that set him up for a better try in 2022 – as he himself noted, it took him two attempts to get elected Mayor in San Antonio – would suffice. Sure, there’s a huge downside risk attached to this, as there’s no indication Texas is ready to even come close to electing a Democratic governor. But there’s a big risk in playing it safe and waiting for the right opportunity to come along. People may forget who you are in the meantime, or some brash upstart may emerge and cut ahead of you in line. Ask David Dewhurst, or Hillary Clinton for that matter, about that. In the meantime, if Castro is even slightly inclined towards running for Governor in 2018, he can lay a lot of groundwork for it by working to turn out Latino voters in Texas and help Democratic candidates, especially Latino candidates, get elected this year. There’s Pete Gallego for CD23, Dori Contreras Garza for State Supreme Court, State Rep candidates in Dallas and Bexar Counties, Ed Gonzalez for Harris County Sheriff, etc etc etc. He’s going to be out on the trail anyway, so why not put a little elbow grease into helping out in his own state? If he really wants to get people fired up about a future candidacy, spend a little time in places that aren’t Democratic now but which need to be at least on the way there for him to have something resembling a reasonable shot – Fort Bend, Williamson, Bastrop, Comal, Collin, Denton, Brazoria, you get this idea. Now maybe Castro isn’t looking at 2018. Maybe he wants to do something different for awhile, maybe he’d like to step out of the spotlight for a few years and spend more time with his young family, maybe he’s given it plenty of thought and concluded that 2018 is hopeless and would do him too much damage. If any of these or something else like them are true, I will understand. But in the meantime, I’m going to root for the ending I want. Just another item to add to the list of reasons why Donald Trump is and has been bad news for Texas Republicans. Voters in the district, which is the largest Congressional district in the country which is not its own state, stretching from northwest Bexar County to El Paso, have an ‘overwhelmingly negative’ view of Trump, with 37% viewing the likely Republican candidate favorably and 58% viewing Trump unfavorably. Because of that, the district is 45% to 40% for Hillary Clinton, despite the fact that Republican Greg Abbott won the district big over Democrat Wendy Davis in 2014. Gallego has 45%, Hurd 37%, with Libertarian Ruben Corvalan with 4% and 18% still undecided. The district is about even in the percentage of voters who self-identify as Republcian and those who consider themselves Democrats. Because of that closely matched makeup, the district has essentially changed hands in every election for the past decade. Many Republicans are concerned that Trump at the head of the ticket will erode the party’s growth among Hispanics and will cost it down ballot races. You can see the Gallego campaign email with a smidgeon of polling memo here. Many disclaimers apply: It’s early, it’s one poll, it’s an internal poll, no crosstabs, etc etc etc. All true, but also all consistent with the statewide polling numbers we have seen so far, as well as the national trends. (See, for example, Latino Decisions’ numbers from Monday, via Daily Kos.) Remember, every Republican other than Nathan Hecht carried CD23 in 2012, when Gallego was elected. Despite a huge tailwind in 2014, Hurd won with less than 50%. If Hillary Clinton goes on to carry CD23, Hurd is almost certainly toast. And if Hillary Clinton is trailing in Texas by less than ten points, she’s almost certainly leading in CD23. It’s just math, and unless things change, that math looks a lot better right now for Gallego than it does for Hurd.